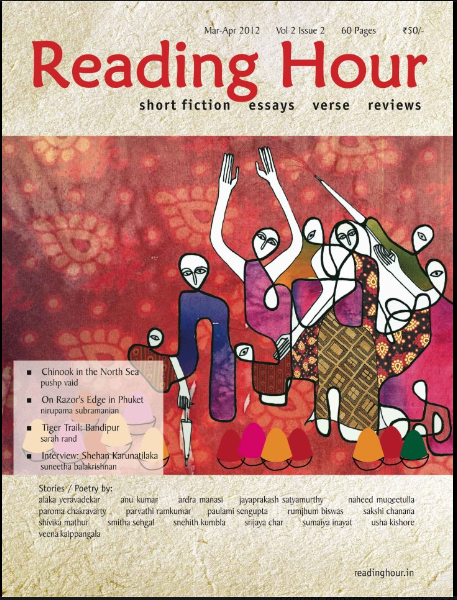 The Bangalore based literary magazine Reading Hour has published my poem 'Bhang Diary' in the Mar-Apr 2012 issue. The poem chronicles the effects of the herbal drink on the day of holi. Another poem 'Road Naming Ceremony' is featured in the same magazine's blog page. You can read the poem at the following link: Road Naming Ceremony.